Second Round Of Trails For New Book Completed! The view from the Panorama Vista at Andrew Molera State Park in Big Sur. Well, I am back after completing another collection of trails for the new guide book. Most of the trails I hiked this time were down in the Monterey area, either in the Santa Cruz and Gabilan Mountains or down in Big Sur. This is big country, with awesome redwoods, rugged mountains, epic coast line and excellent waterfalls. It is especially scenic in the spring, when the grass is green and there is a profusion of wildflowers. I timed this trip to catch it at its best and I was not dissappointed. Along with a couple of trails in the Mineral King area and the Golden Trout Wilderness over in the Sierra Nevada, these are the southernmost hikes that will be included in the book. 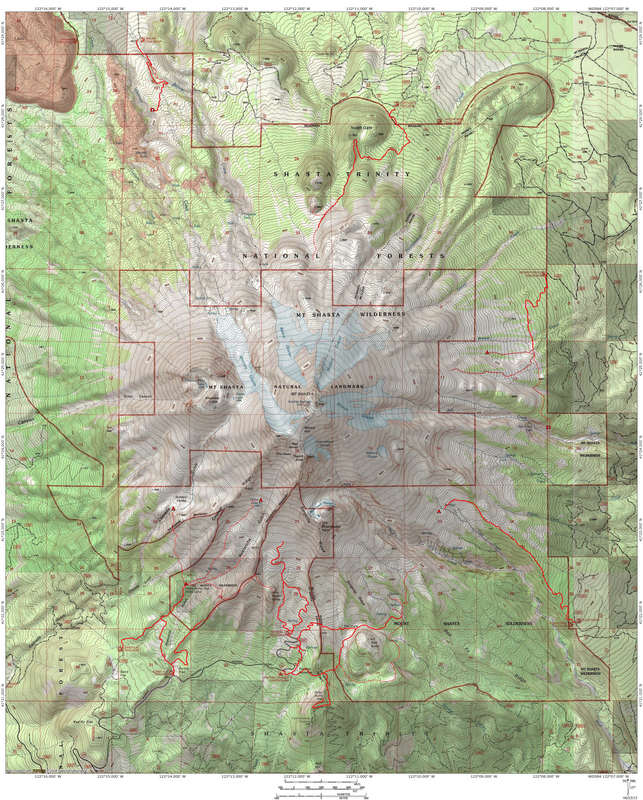 The hikes on this trip were almost entirely in state parks, which is unusual for this book, since most of the hikes will be found in national forests and national parks. It is interesting how the state retained so much of its land along the Pacific while the federal government assumed control of the high mountains around the state. Now that I have done the trails around Monterey, I have completed most of the lower elevation trails that will be found in the book. I still have some in the redwoods in Humboldt/Del Norte, two in the foothills in the Sierra Nevada and two in the high desert that lies east of Mount Shasta. After that, it is high mountain terrain for the rest of the summer! The first trail I hiked was on the coast near Fort Bragg. 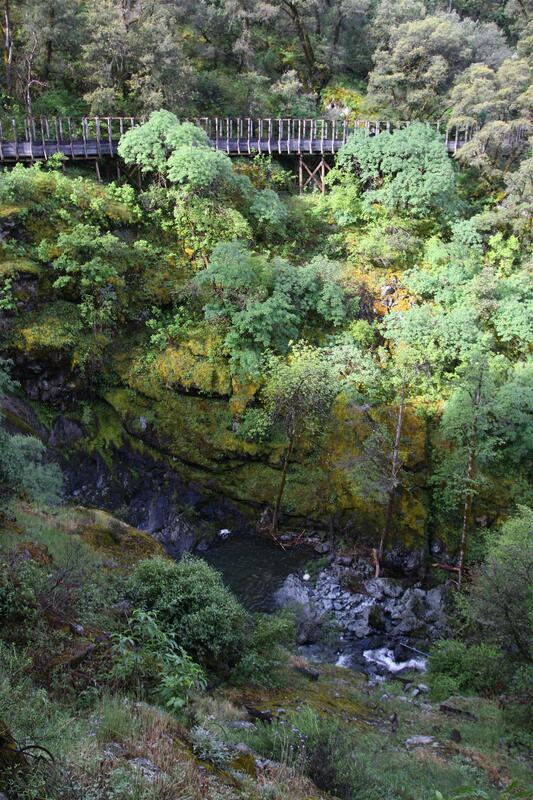 The trail leads through a lush redwood canyon to a beautiful waterfall. The Sunol Regional Wilderness, on the outskirts of the Bay Area, boasts beautiful oak savannahs, rugged rock formations and an area known as Little Yosemite. While I had anticipated this appellation might be a bit of wishful thinking, I was amazed at how much the rock-choked creek and narrow gorge evoked the feeling of the Happy Isles of Yosemite. While the whole hike was great, this particular spot was a happy surprise! It is hard to pick one highlight of the awesome loop through the backcountry of Big Basin Redwoods. 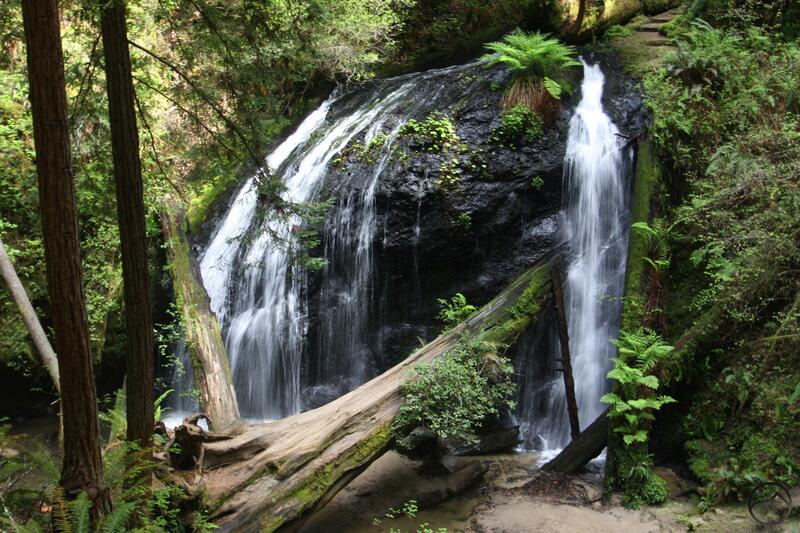 The old growth redwoods are great and the trio of waterfalls are fantastic. To me the best part was the way the trail wove so intimately and interestingly through all these great features. 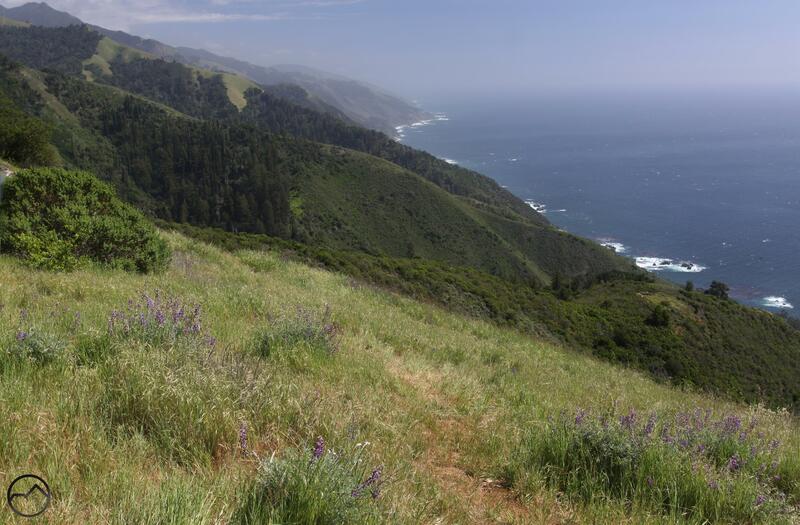 An awesome loop through Andrew Molera State Park offers some of the best of the Big Sur area. 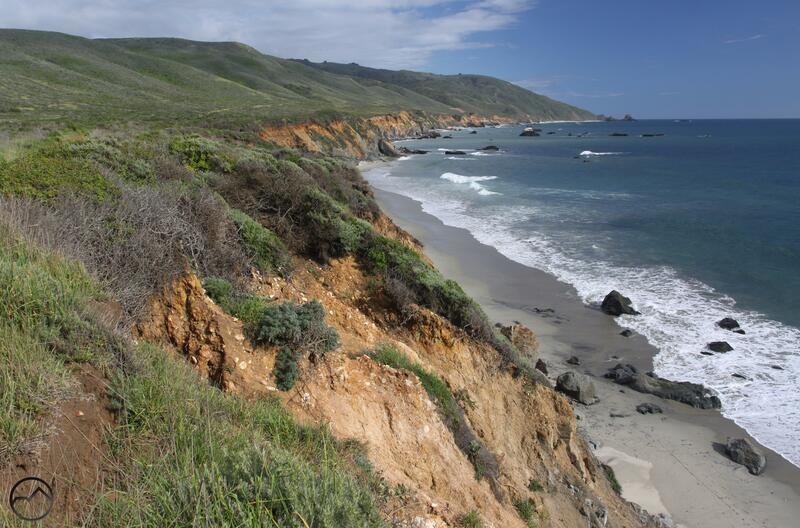 Climbing along a view-packed ridge leads to a return trip on coastal bluffs and a secluded beach. 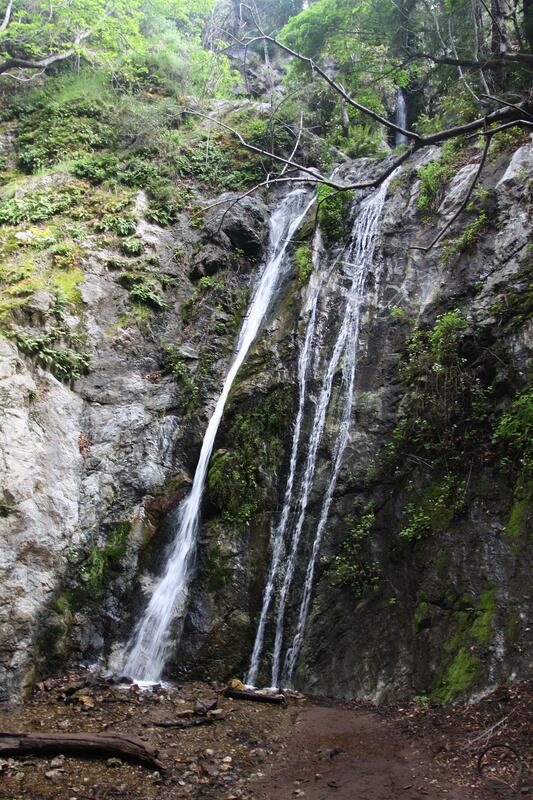 The short hike to Pfeiffer Falls is easy and popular but it is a Big Sur classic. 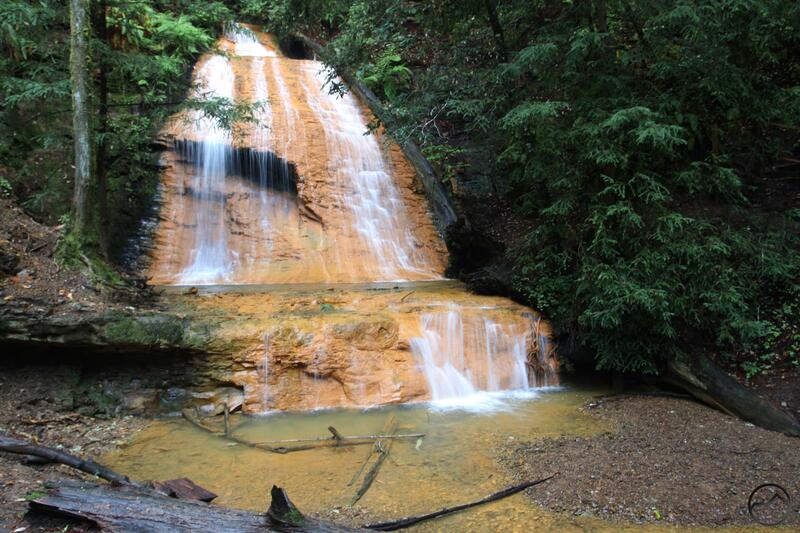 The pretty waterfall is found in a canyon lined with redwoods. While most visitors head to Julia Pfeiffer Burns State Park for awesome McWay Falls, the rest of the park is left lightly traveled. 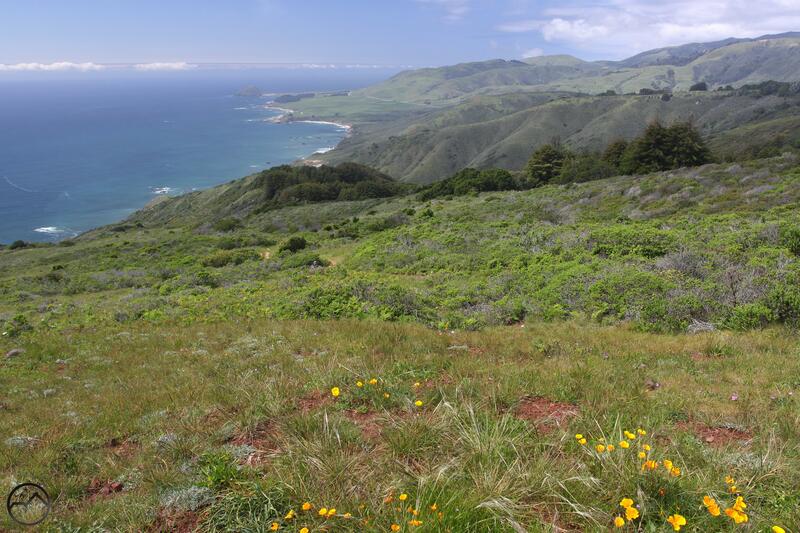 Hiking the park’s high country leads to beautiful creeks and redwoods and a truly magnificent Big Sur vista. This really is “el país grande del sur”! 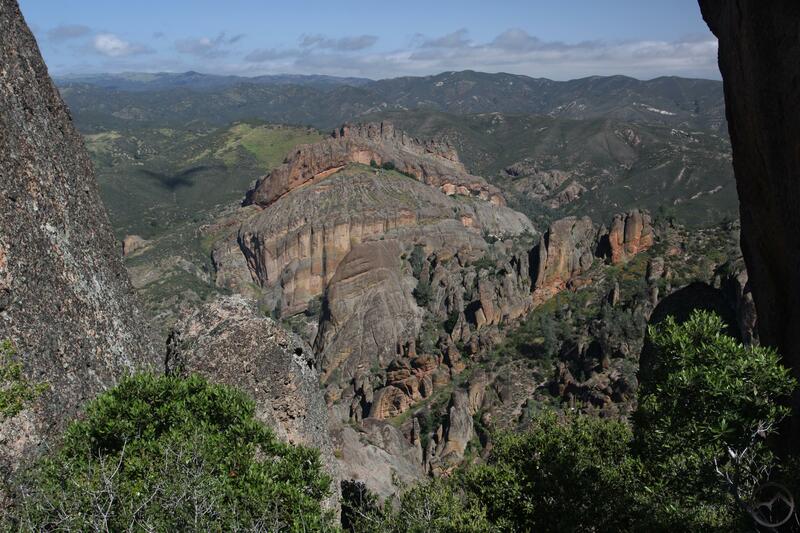 No hiking guide that covers this part of the state would be complete without a journey through the Pinnacles, California’s newest national park. The hike over the High Peaks area is exhilarating and boasts great views and some amazing trail engineering. The return portion of the loop travels through a great talus cave, adding even more memorable hiking to an already outstanding hike! The last hike of the trip was the first Sierra Nevada hike of the summer. 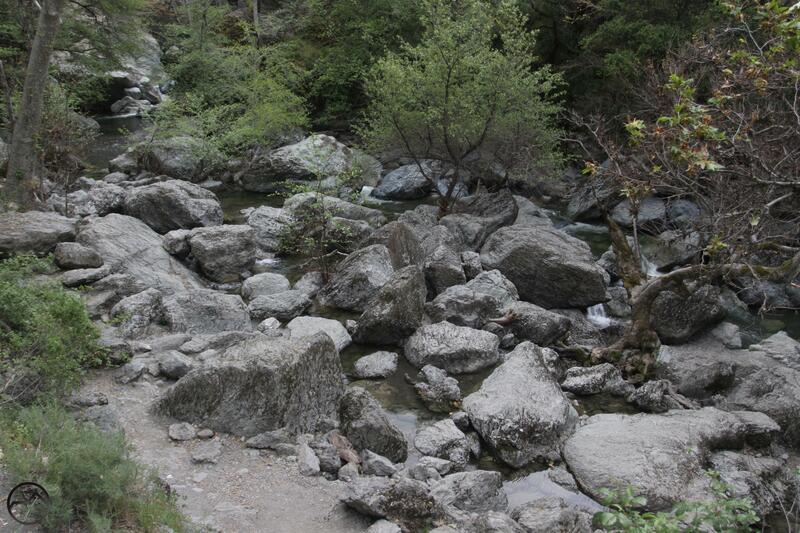 Found in South Yuba River State Park, this hike formed a loop that travelled along an old flume and then dropped down to the South Yuba River. Much of the trail is along reconstructed sections of the flume that traverse both sides of a narrow, waterfall-filled chasm. This trail is pretty easy but packs a lot of scenery and interest! One really notable experience on this trip was in the Pinnacles. I was the first person on the trail from the west side’s trailhead so I was on my own when I encountered a group of six California Condors who decided to hangout right on the trail. (These birds were nearly extinct and at one time there were less than 10 alive. Though they are still vulnerable, they are making a fantastic comeback from the precipice of extinction.) After waiting for them to move for a while, I was able to make contact with the park’s headquarters who contacted one of their condor crew members who was making observations in an area not far from where I was. She was not finding anything…because they were all hanging out where I was. She finally made it to where I and the condors were congregated and she was amazed to see such a collection hanging out so calmly around me. When I finally left, I had to hike right past them, only five feet off the trail!